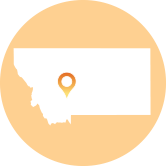 The Montana Supreme Court’s penchant for expanding liability and limiting defenses, and ongoing uncertainty regarding the validity of the state’s statutory limit on punitive damages has once again landed the court on the Watch List. In Atlantic Richfield Co. v. Montana Second Judicial District Court, the Montana Supreme Court allowed a state environmental lawsuit seeking cleanup remedies that conflict with an ongoing federally-ordered cleanup plan. In 2008, a group of private property owners in Opportunity, Montana sued Atlantic Richfield, alleging that a copper smelter, which had closed in 1980, had contaminated their land. After being shut down, the Anaconda Smelter site was placed on U.S. Environmental Protection Agency’s priority list for Superfund cleanups pursuant to the federal Comprehensive Environmental Response, Compensation, and Liability Act (“CERCLA”). The EPA’s cleanup began in 1988, and although it is still ongoing, the property owners filed a lawsuit asserting claims for trespass, nuisance, and strict liability, and seeking restoration damages. They hired their own experts who recommended the removal of the top two feet of soil and the installation of permeable walls to remove arsenic from the groundwater, among other recommendations that went well beyond what EPA had found necessary and required. After years of litigation, the company filed a writ of supervisory control with the Montana Supreme Court seeking reversal of trial court orders that allowed claims seeking restoration damages to continue. The restoration claims, however, were preempted by federal law because they directly conflicted with the CERCLA cleanup plan, Atlantic Richfield argued. Nonetheless, in its split decision, the Montana Supreme Court held that the property owners’ claims were not a challenge to the CERCLA cleanup plan and that state courts are free to impose additional liability on companies that are complying with the federal effort. It allows a state court to view the EPA’s generally binding recommendations as suggestions, and require companies to take actions that the EPA may have specifically considered and rejected. With this ruling, the Montana Supreme Court overstepped into circumstances governed by federal law. Preemption is in place to prevent duplicative or inhibitive actions by a state that may interfere with a cleanup effort that is more properly handled by the federal government. Justice Laurie McKinnon pointed out in her dissenting opinion that “[a]n action constitutes a challenge [to a CERCLA cleanup] if it is related to the goals of the cleanup.” As the property owners’ proposed restoration plan would impose different requirements than the EPA plan, it was “plainly contrary” to the federal cleanup, and directly interfered with the ongoing project. In February 2018, the company filed a petition for writ of certiorari with the U.S. Supreme Court, urging the Court to give clear guidance on this important issue. As one group that filed an amicus brief observed, “Just as it would not let a jury tinker with a space launch, Congress would not let a jury reorganize a major environmental- restoration project.” As of publication, the petition remains pending as the Court has invited the Solicitor General to express the federal government position on the case. The Montana Supreme Court’s decision turns the law of preemption upside down and threatens every company that works in good faith with the EPA on clean-up projects with new lawsuits that would require them to spend millions of dollars on top of the work they have already completed. The Montana courts and legislature have made it easier for plaintiffs to win product liability cases by limiting the few defenses available to those who are sued. The Montana product liability statute only recognizes two defenses to a product liability action which preclude liability when a person has misused a product in a way that was unforeseeable or where a person used a product despite an obvious defect. The Montana Supreme Court has interpreted these defenses so narrowly that they rarely come into play. For example, after a car accident, a plaintiff claimed the design of her Mazda’s seatbelt caused her injuries. As it turns out, the plaintiff had worn the seatbelt incorrectly. Instead of putting the shoulder belt over her shoulder, she ran it under her arm. A jury ruled in favor of the automaker at trial, but the U.S. Court of Appeals for the Ninth Circuit reversed in Speaks v. Mazda Motor Corp., finding the district court judge needed to instruct the jury that a person’s misuse of a product is not a defense under Montana product liability law if the product is misused in a way that is foreseeable to a manufacturer. Further, legislative efforts to allow juries to allocate fault among all who are responsible for an injury faces court- created obstacles, including Montana Supreme Court rulings finding certain aspects of Montana’s comparative fault statute unconstitutional. After having its decision overturned by the U.S. Supreme Court in 2017 in BNSF Railway Co. v. Tyrrell, the Montana Supreme Court has signaled that it may be ready to apply constitutional principles that prevent plaintiffs’ lawyers from filing lawsuits in Montana that lack a connection to the state. In DeLeon v. BNSF Railway Co., the Court was faced with a classic case of forum shopping. A worker from Missouri and two workers from Texas filed lawsuits against the railroad in Yellowstone County, Montana to recover for on-the-job injuries that happened in their home states. While BNSF has track in Montana, like anywhere else, it is incorporated in Delaware and headquartered in Texas. The plaintiffs chose to file in Montana despite a complete lack of connection between the case and the state, presumably because their lawyers believed the chance of success is greater in Montana state courts. They asked the court to find jurisdiction over BNSF based on the railroad’s registration to do business in the state combined with its operations in the state. The U.S. Supreme Court has consistently ruled, however, that a state court can only exercise jurisdiction over a company if there is a specific connection to the case or the company is “essentially at home” in that state, meaning it is incorporated or has its principal place of business there. The Montana Supreme Court has avoided opportunities to decide the constitutionality of the state’s statutory limit on punitive damages, which permits awards of up to $10 million or 3% of the defendant’s net worth. The court ducked the issue back in 2015 when it ruled that Michigan law applied and did not allow for punitive damages in that case. For that reason, the court did not rule on the constitutionality of Montana’s cap. Meanwhile, Montana trial court judges are refusing to apply the statutory limit, finding it violates the right to jury trial or due process. This most recently occurred in Montana’s Twentieth Judicial District Court in Lake County in March 2018. In that case, TCH Builders & Remodeling v. Elements of Construction, Inc., Judge James Manley found the limit on punitive damages “unconstitutional and will not be enforced,” following the lead of three other Montana trial courts. These rulings are contrary to courts in the vast majority of states, which have recognized that setting constraints on punishment is firmly within the legislature’s policymaking authority. It is up to the Montana high court to issue a definitive ruling finding that the law is constitutional. ATRA will watch closely in the hopes the Court will uphold the reasonable punitive damages limit enacted by the legislature. Montana politics have long transcended traditional party lines, yet it is still surprising that a state that places so much value on the free market has repeatedly ended up on the Watch List for expanding liability and hurting businesses. Maybe it has something to do with the fact that the state’s law school is named after a well-known Montana personal injury attorney, or the fact that the school’s torts and trial practice is being taught by the former president of the Montana Trial Lawyers Association. However, it is most likely that “Big Sky Country” is simply not as pro-business as previously believed; a sad fact that hopefully serves as a catalyst for civil justice reform.